The Eleventh task in the 30 Days 30 Ways challenge centres on crime prevention and local action. 1 Pt: Share an idea or resource in how to keep your home and neighbourhood safe. 2 Pts: We want you to do a little research. Do you know where to find “Crime Watch” information for your neighbourhood? Share what you find about where you live without sharing too much about where you live…Were you surprised? Following a disaster, news media often cover stories of social disorder, panic and looting; a post-disaster response perpetuated by Hollywood. However, there is evidence which points to reduced crime after a major disaster. The shared experience (both by those directly impacted and through being so visibly public) can reduce social divisions, bringing individuals and communities closer together. The visibility of suffering increases empathy, altruism and social cooperation, and whilst this is often fleeting, can also serve as the catalyst for longer-term social change. The availability of targets, absence of guardians and presence of offenders presents an increased likelihood of acquisitive crime. However, contrary to this logic there is rarely strong evidence of looting. Similarly for more violent crime, whilst there are a handful of well-known exceptions, the general rule is for a decrease in crime rates. So although I question the link between emergencies and crime, I do think that having strong, reciprocal relationships with neighbours can be useful techniques for reducing the likelihood of both. Having someone to watch over your home while you’re on holiday means that thieves are less likely to break in; it also means that should there be a major emergency, someone is able to contact you. There are also some very practical benefits to knowing your neighbours too, like not having to rearrange deliveries! To get the 2 points, I think the best resource in the UK is police.uk which shows local crime mapping, and is very useful for people looking at moving to a new area. Neighbourhood Watch schemes in the UK, in my experience, seem to have stagnated, but there is growth in online localism (like NeighbourBlog), which could be another way of finding out about your local area. 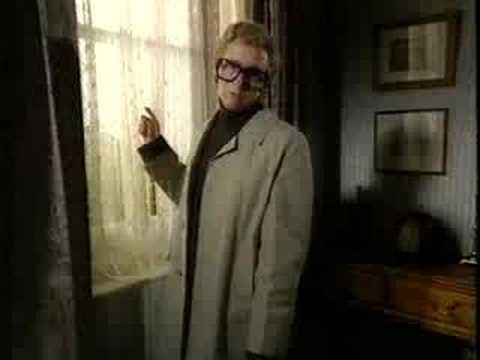 Oh, and in case you don;t know the image for today;s post – it’s Michael Pain, the Nosey Neighbour from 90’s TV Sketch Show Harry Enfield and Chums, who definitely knew his neighbours well!